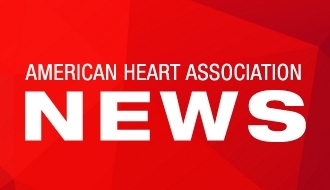 DALLAS, October 10, 2017 — The American Heart Association/American Stroke Association (AHA/ASA), the world’s leading voluntary health organization devoted to fighting cardiovascular disease and stroke, is releasing a new parody music video to teach people how to recognize the most common stroke warning signs. Worldwide, stroke is the No. 2 cause of death and a leading cause of serious disability. For the American Stroke Association, raising awareness of stroke is more critical than ever, as new reports indicate that stroke deaths are on the rise. The song is a parody of the well-known Y.M.C.A song from the 70’s. It features a person having a stroke in a diner and the patrons and staff singing about the acronym F.A.S.T., an easy way to teach people the most common stroke warning signs and to call 9-1-1 during a stroke emergency. Face Drooping - Does one side of the face droop or is it numb? Ask the person to smile. Is the person's smile uneven? Speech Difficulty - Is speech slurred? Is the person unable to speak or hard to understand? Ask the person to repeat a simple sentence, like "The sky is blue." “When it comes to a stroke emergency, one thing always remains true – urgency in calling 9-1-1 is critical. There is no technology that can substitute for time loss. Without oxygen-rich blood, brain cells die. Time loss is brain loss. Receiving immediate, professional help can get you the immediate treatment to greatly improve recovery outcomes,” said Schwamm. Education about F.A.S.T is a part of the American Stroke Association’s Together to End Stroke initiative, nationally sponsored by Medtronic. Together, the two organizations aim to help people to easily recognize the stroke warning signs to improve stroke outcomes. For more information and to find a complete list of the stroke warning signs, visit http://www.strokeassociation.org/.